[…] in some unusual circumstances […] our edge servers were running past the end of a buffer and returning memory that contained private information such as HTTP cookies, authentication tokens, HTTP POST bodies, and other sensitive data. And some of that data had been cached by search engines. Between 2016-09-22 – 2017-02-18 passwords, private messages, API keys, and other sensitive data were leaked by Cloudflare to random requesters. Data was cached by search engines, and may have been collected by random adversaries over the past few months. Requests to sites with the HTML rewrite features enabled triggered a pointer math bug. Once the bug was trigerred the response would include data from ANY other cloudfare proxy customer that happened to be in memory at the time. Meaning a request for a page with one of those features could include data from Uber or one of the many other customers that didn’t use those features. So the potential impact is every single one of the sites using CloudFare’s proxy services (including HTTP & HTTPS proxy). This list contains all domains that use cloudflare DNS, not just the cloudflare proxy (the affected service that leaked data). It’s a broad sweeping list that includes everything. Just because a domain is on the list does not mean the site is compromised, and sites may be compromised that do not appear on this list. Cloudfare has been working on it before it made the announcement. But just to be sure, change your passwords & clear your cookies. GitHub users kamaljoshy and avian2 have written some scripts to check domains of saved logins for Chrome and Firefox. Good to see a transparent bank. Anyone willing to try it out, I have a Golden Ticket. When Siri for Mac was first announced at WWDC 2016 the first question I asked myself whether it would be available as a voice command. 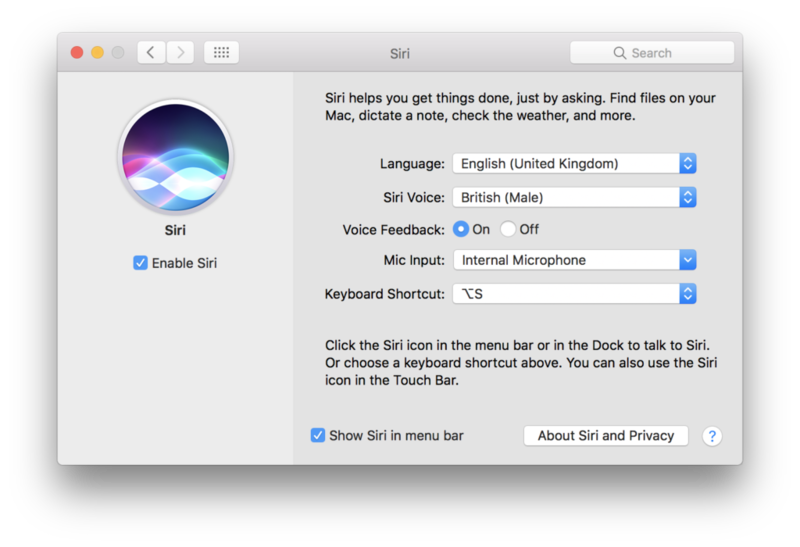 That proved not to be the case, at least not by default, so here is how you can create a dictation trigger to summon Siri on your Mac using the “Hey Siri” command. You can watch the whole video on YouTube. 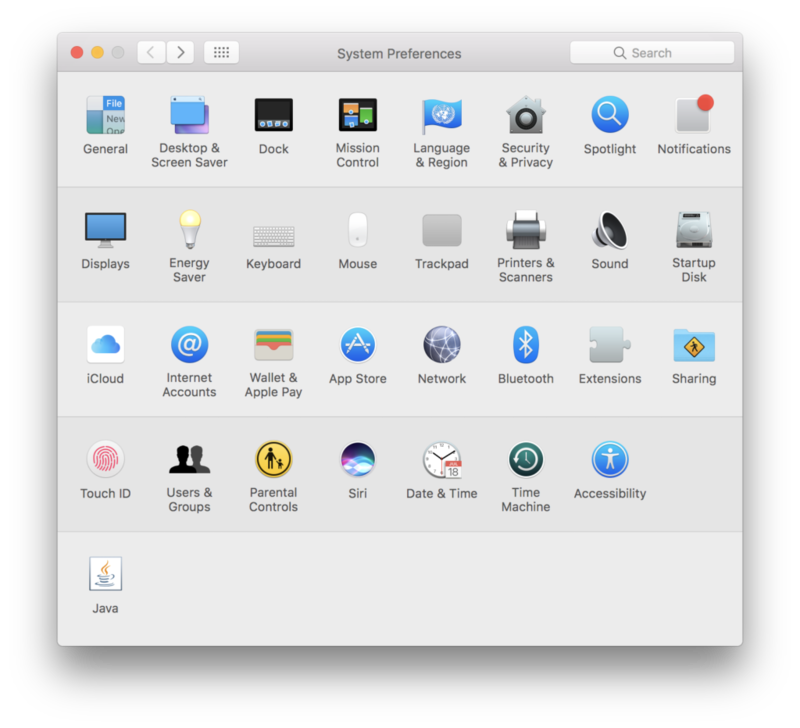 The System Preferences icon can normally be found in the dock, or you can use Spotlight to search for it. Select Siri and choose “Press Fn (Function) Space” as the Keyboard Shortcut for triggering Siri. Alternatively you may customise the shortcut. I chose Option+S. Note down your shortcut as you will need to perform it later. 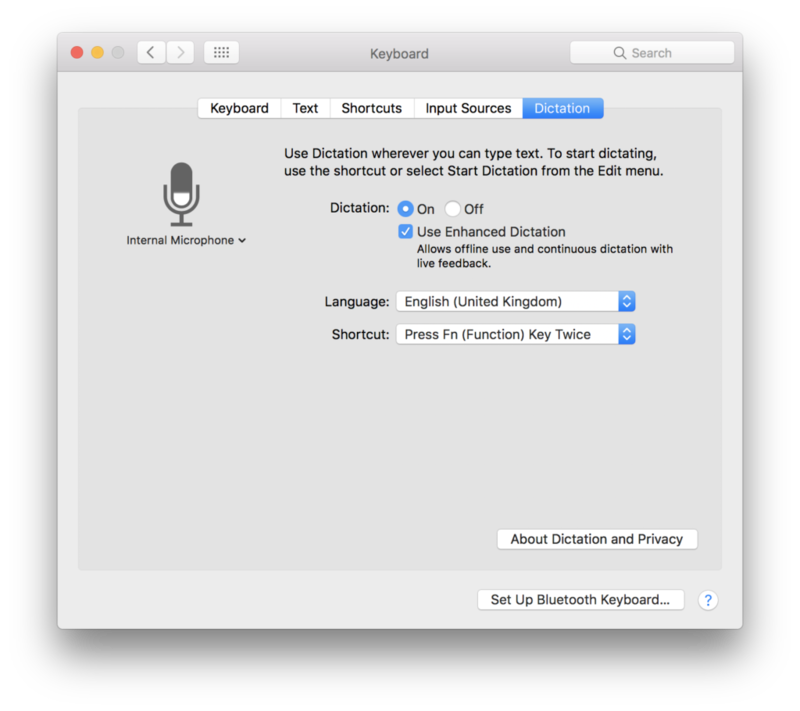 Go back to the main window in System Preferences and make sure you have Dictation enabled under Keyboard -> Dictation. 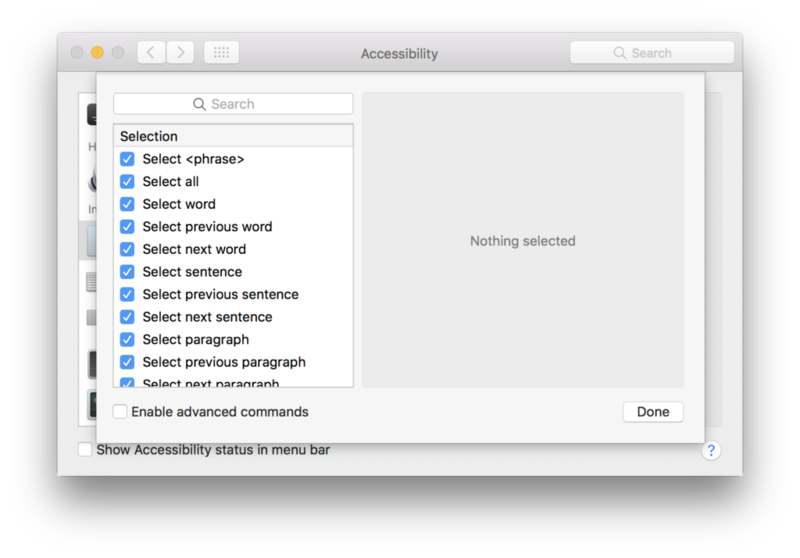 Go back to the main window in System Preferences and choose the Accessibility option. Scroll down in the right panel and select Dictation under Interacting. 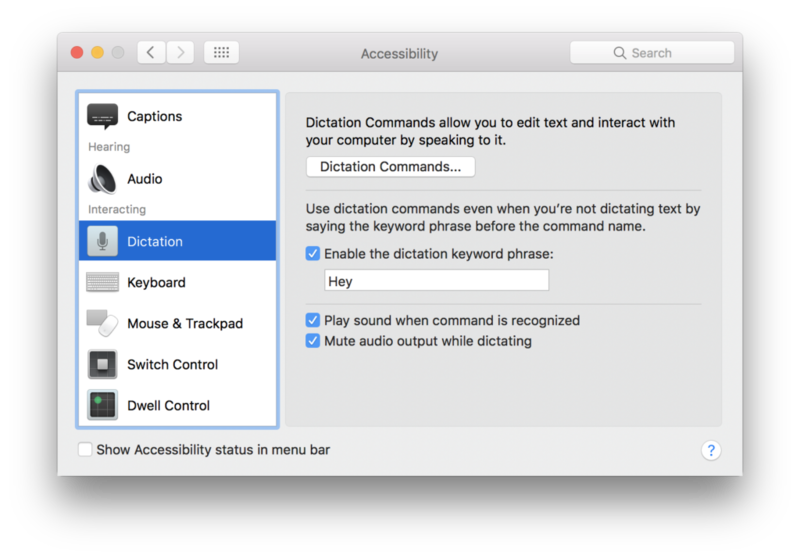 Click Dictation Commands… at the top of the window. Enable Advanced commands and press the “+” button just above the check to create a new custom command. Call it Siri if you want your trigger to be “Hey Siri” just like on iPhone, iPad or Apple Watch. 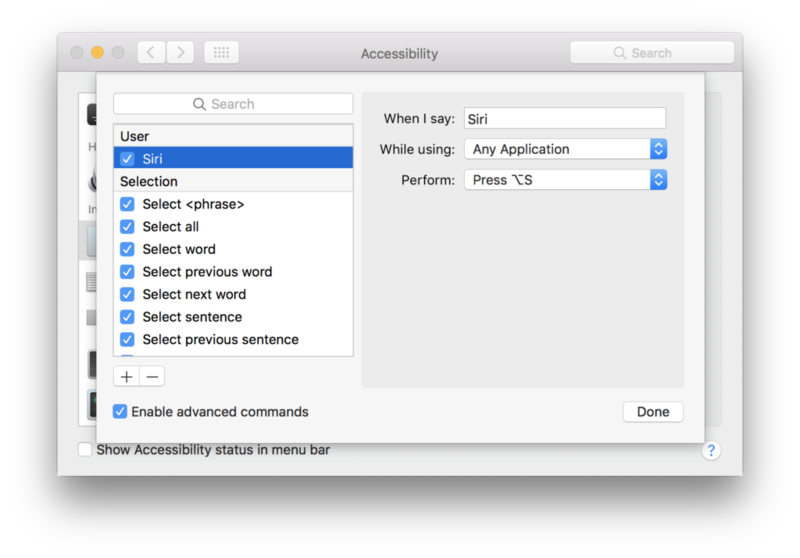 Perform the keyboard shortcut that matches Siri’s Keyboard Shortcut in step 2. This could be the Fn (Function) Space combo or a custom combination. I chose Option + S.
Click Done and test it out. Good luck triggering all your other devices with the command! One suggestion would be to change the trigger word – “Hey”- to something else. The ad speaks for itself. Music, colours and happiness are omnipresent in this refreshing stop motion ad which showcases iPhone 7 Plus’ Portrait Mode.